Did Marx Promise to Abolition Religion? In my last post, I contrasted the words of Karl Marx and Frederick Engels, with those of Jesus Christ. Marx & Engels: "Communism abolishes all religion, all eternal truth, all morality." Jesus Christ: "Don't think I have come to abolish the Law and the Prophets. I have not come to abolish, but to fulfill." "I looked up the context of this quotation, as I've encountered bogus Marx quotations in recent times. I'm not sure how you intend it to be seen, but the way it's used in your post it looks like Marx/Engels are asserting and agree with the substance of the quotation while in context they give it as a bourgeois objection to Communism. I'm not sure they don't completely dismiss it, but I'm not sure they affirm it either. How exactly do you see this quotation?" This is a good question, and I think answering it will help explain Marx' complex, and often tricky, attitude towards religion, and the attitude his followers adopted in various Marxist movements and states. 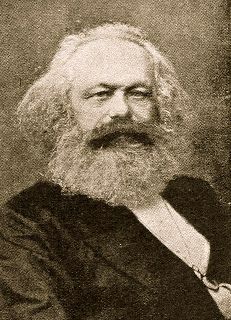 Meaning is derived from context, and the context here is (a) a particular passage in the Communist Manifesto; (b) the book as a whole; (c) it's historical background; (d) the life and thought of its authors, that Aikman explores; (e) how it would be interpretted by Marx' most dedicated or powerful followers, especially in communist-ruled territories. "Do you charge us with wanting to stop the exploitation of children by their parents? To this crime we plead guilty . . . The bourgeois clap-trap about the family and education, about the hallowed co-relation of parent to child, becomes all the more disgusting . . . by the actions of Modern industry." It's a little hard to make out Marx' real intentions, here, at times. His cynical interpretations of his enemies' motives and actions are typical, as is his equally naive assumption that with the "proletariat" in charge, or rather intellectuals like himself, funded by capitalists like Engels, everything will be extraordinarily cool. Marx probably didn't intend to abolition families: he had one of his own, even if highly disfunctional, and he did seem to love his daughters, in his strange way. But he certainly did mean to abolition at least large-scale private property, which he treats in the same way, here. Certainly, Marx and Engels wanted to end religion, and conventional moral rules, and thought communism would do both. I go into this in some detail in Jesus and the Religions of Man, and conclude that Marx and his revolutionary followers actually accepted three different moral systems: (1) Christian morality centered on love, by which they debunked the capitalists (this is implicit in Marx' sarcastic and over-the-top criticisms of them in Communist Manifesto, including in this passage). (2) "The ends justify the means," by which they justified their own actions, such as bank robbery, assassination, shooting peasants, imprisoning thought criminals, again including measures mentioned in this passage, etc; (3) Nanny-state morality, by which, having attained power, they harranged citizens to work hard, not spit, not drink too much, have lots of babies or not too many babies, help fellow citizens (if they're not counter-revolutionaries or suspect elements), etc. The Marxist attitude towards religion was even more complex and flexible. Communism was almost always hostile, but usually pretended to allow some religious freedom, since religion was supposed to fade away on its own, in theory. Sometimes the state went to an enormous extent to fool people into believing in religious freedom. Often, though, the persecution was intense, including mass-murder and gruesome enslavement and torture, though even then the state usually pretended some pretext, for example by trumping up criminal charges against pastors. Sometimes the doctrine of a "Common Front" was adopted, for instance in response to the Nazi invasion in the USSR. These ambiguities allowed (and allow) many Westerners to fool themselves about the true stance of the communist party towards religion, and even to simply overlook mass murders, torture, destruction, and lies on a massive scale. In China, I would argue, the attitude towards religion, while still hostile, has since Mao died (and most surviving pastors released from prison) evolved into something pretty traditional. At the top, party members are mostly skeptics, much like the neo-Confucian literati after the Song Dynasty or so. They allow several forms of "orthodox" religion, adding "Protestantism,""Catholicism" and "Islam" to the traditional three (Confucianism, Buddhism, and Taoism). Worship outside of approved locations, and by approved methods, is in theory not allowed, nor are certain teachings (end times) or activities (miraculous healing). And some movements are heavily persecuted as perceived threats to social peace or to the state. But this is traditional in China: Marx I think probably has only a very little to do with what goes on there, these days. But certainly, the attitude of Marx and Engels, and the actions of the communist movement as a whole, show that "abolish religion" was not at all a false charge, or intended as one, though methods and ultimately attitudes would vary. Certainly, Marx hated God. He was an atheist, because he denied believing God, but I am not entirely sure he was telling the truth. You've made similar statements before , and they made as little sense then as this one does now. If Marx didn't believe in God, then it is ridiculous to claim that he "hated God." One can't hate something that according to one's beliefs doesn't exist. Furthermore, this statement is frequently used to impugn atheists in general, by suggesting that "atheists hate God," an equally ridiculous contention for the same reason. You say that you're not sure if Marx was telling the truth. About what? Disbelieving in God? Well, if he did believe in God it's certainly possible that he may have "hated God," but in that case he wasn't an atheist. The fact remains that when governments which had committed to communist economic systems acted to repress religion, they did so because they worried about religion becoming a counter-revolutionary political force, and not out of any desire to specifically advance atheism in its own right, nor from any other theistic or supernatural concern (such as 'hatred of God'). There is a significant difference between 'deriving meaning from historical context,' and revisionist history. Dr. H: One simple assumption causes my claim to make perfect sense: human beings are complex, often conflicted creatures. And I don't think that's a nutty assumption: the whole psychological industry seems to have been built on it, and some of them must know something. You claim communist regimes didn't want to promote atheism. Sorry, there's way too much evidence against that. They DID promote atheism. They promoted it relentlessly, omnipresently, cruelly, even sadistically. They promoted it in schools, on the radio, on TV, on walls, and in torture chambers. Furthermore, Marx and Engels became avid atheists BEFORE they invented their form of communism, before Marx at least developed a great interest in universal revolutionary salvation. That conclusion is drawn from the earliest texts, and is congruent with observations by astute historical observers for centuries, now. How can you call it "revisionist?" Anyway, it's accurate. Regarding the claim that 'You can't hate God if you don't think He exists', here's a good post suggesting why such a claim is not only arguably wrong, but pretty naive. Of course, none of these views would help out my atheist interlocutor: on thought theory it's entirely possible to be angry at things you think don't exist; on pretend theory, you might not be angry, but you could still be quasi-angry, which (it turns out) is a lot like being angry; on counterpart theory, you may not be angry at the thing you think doesn't exist, but you could still be angry at something it reminds you of (one way really to annoy some atheists is to tell them that they are motivated by the fact that they have serious issues with father figures! ); and on illusion theory, you can be an atheist and angry at God because you believe in him still a little bit (suggesting which is another way really to annoy an atheist, which I guarantee you is why some theists so gleefully suggest it). There's really no theory of emotions, or any that does justice to the paradox of fiction, anyway, on which you can be guaranteed not to get angry on thinking about something that you believe doesn't exist. Which, of course, is not to say that you necessarily would, either. You claim communist regimes didn't want to promote atheism. Sorry, there's way too much evidence against that. They DID promote atheism. No sir. In the main, they did not "promote atheism." Rather, they opposed religion. And this is beside the point as to whether Marx "hated God" and "was an atheist". If he did one, he could not have been the other, by definition. Very pretty piece of sophistry, Crude; thanks for the link. Empty of real meaning, as is the wont with sophistry, but very pretty nonetheless. For starters, I would dispute that we feel any sort of real, permanent emotions towards fictitious characters. People who do so are generally believed to have some sort of mental disorder as defined in the DSM-IV. You coud then, put me in the ranks of the "pretend theory" crowd, I suppose. More to the point: If "God " was a fictitious character to Marx, then if, as David claims, he "hated God," his hatred would be for that which he knew to be fictitious. To David, however, God is not fictitious. Therefore whatever fictitious entity Marx may be "hating," it cannot be what David calls "God," because what David calls "God" is not fictitious. Still more to the point: There is a difference between not believing in something, and believing in something fictitious. I acknowledge, for example, the existence as fiction of the character "Santa Claus," and I am even aware of the likely historic foundtations of the legend, and the way the concept has developed in various cultures. But I do not believe in the existence of "Santa Claus" as a real entity in the world, with supernatural reindeer, a warp-drive sleigh, and the power to actually affect real things in the world. For a variety of complex reasons, including cultural history and family tradition, I can draw on that fictitious concept to enhance a certain warm-and-fuzzy feeling associated with certain activities at a certian time of the year. But I am well aware of the fact that this is but one aspect -- and a vicarious one at that -- of a much more complex social phenomenon in which I choose to participate. By definition, an "atheist" is one who does not believe that "deity" has any real existence. This does not, of course, mean that an atheist is necessarily unaware of the concept of deity as fiction. If Marx was an atheist (and he probably was), he might view the fiction of deity with a certain vicarious distaste not unlike my warm-and-fuzzy reaction to Santa Claus. But to put this reaction to an acknowledged fiction in the same category as an honest love or hated of a real being, would be -- to use your word -- "naive." When I see that some child doesn't get what they wanted for Christmas, I don't "hate Santa" for that. To do so would be symptomatic of some sort of psychosis. As an atheist Marx could not have "hated God," however distasteful he may have found the concept of God. Marx was many things, but he doesn't seem to have been psychotic. Dr. H: I don't follow. If I say, "There is no God!" am I "opposing religion," or "promoting atheism?" If I say, "To get a decent job, you must not believe in God," am I "opposing religion" or "promoting atheism?" If I put you in a concentration camp and torture you because you talk about Jesus, am I "opposing religion" or "promoting atheism?" If I put sugar, CO2 bubbles, and water in a bottle, am I "opposing Coke" or "promoting Pepsi?" Or the converse? If you fly to Fairbanks, are you traveling north or leaving the south? What do you mean? Why does whatever differnce you see matter? A pretty bold claim from somebody who has such bad arguments on the subject. Let's go through them. (1) For starters, I would dispute that we feel any sort of real, permanent emotions towards fictitious characters. People who do so are generally believed to have some sort of mental disorder as defined in the DSM-IV. You coud then, put me in the ranks of the "pretend theory" crowd, I suppose. You are confusing emotional responses with long-term behavioral complexes involving regular patterns of emotional responses, attitudes, and behavioral responses; some of these behavioral complexes qualify as mental disorders, some do not, and none of the mere emotional responses are mental disorders, since the latter identify behavioral complexes, not particular emotional responses or even patterns of emotional responses. Nor does this have anything to do with pretend theory, which is committed to the view that we have emotional responses like anger and hate to fictitious characters if we are using these terms (emotional, anger, hate) not in a strict sense but in a loose and colloquial sense, which certainly includes quasi-emotional counterparts. (2) Your next two points manage to be both irrelevant (it is not necessary to "believe in something fictitious," since this at most affects illusion theory, and even then only if we are using the terms broadly; and the first argument makes the mistake of treating existence as a predicate explicating a concept) and to concede that we can have at least recurring emotional responses to fictitious characters ("warm and fuzzy feeling" and "vicarious distaste"), which is all that the argument requires. (3) When I see that some child doesn't get what they wanted for Christmas, I don't "hate Santa" for that. To do so would be symptomatic of some sort of psychosis. As an atheist Marx could not have "hated God," however distasteful he may have found the concept of God. If you hate a character you know to be fictitious for not doing something in real life, you have an inconsistent belief in that character as simultaneously both real and merely fictional. Emotional responses grounded on stable belief in both conjuncts of a contradiction are obviously signs of mental disorders. Nothing follows from this about any case in which there are no contradictory beliefs. This is a very elementary point. There are arguments that would be decent supports for the position you are trying to defend, but one thing that is very clear is that the argument you are giving is the most thoroughly ridiculous argument possible for it. It is not consistent with common beliefs about emotional responses, nor with cognitive science work in the field, nor with any of the major arguments in philosophical aesthetics for the past forty years. Neither, I would say. You are just expressing your personal opinion about "God", whatever that happens to mean to you. Being an atheist is not synonymous with "opposing religion," and you well know I make a distinction between these. Plenty of atheists are content to live-and-let-live and are as sick of Dawkins and Higgens as they are of Robertson and Graham. That I say "there is no Santa Claus" doesn't mean that I'm either opposing Clausism or promoting Aclausism. Myth and legend are part of the richness of our culture, and a certain amount of fantasy is healthy at certain points in life (mostly in early chidhood). Again, niether. What you are doing is applying a social formula as a means of discriminating between an in-group and an out-group. Plenty of things besides religion have been used to do this: political party; skin color; gender; age; sexual preference; language; ethnicity; etc., etc. That's perilously close to a "have you stopped beating your wife" kind of question. I suspect that it's coming from the old "communists tortured religious people argument," which is based on the fallacious assumption that in every case where a communist regime persecuted the religious, they did it because of their belief in God. In fact, the vast majority of the time it was NOT just because they 'talked about Jesus,' but because they adhered to a potentially counterrevolutionary social network which the ruling power saw as a polical threat. In which case I suppose you could say that they "opposed religion". But it is a much more difficult sell to prove that they were opposed to mere belief in the supernatural (ie. theism). It was the /organizational/ aspect of religion which threatened them. I leave the sillier examples aside for now; you've done better. Why does whatever differnce you see matter? It mystifies me that you even need to ask that question. Do you really see no difference between acknowledging a fictitous character /as/ a fictitious character and behaving towards a fictitious character as if it /really existed/? Do you honestly believe that a normal human being can sustain as intensely passionate an emotion as "love" or "hate" for something which they do not believe has any real existence? If I claimed to sincerely love or hate Santa, would you not think I had misplaced a few cards from my deck? Please note that I am -not- advancing Dawkins' "god delusion" argument here. If you believe that God exists, then that you could claim to "love God" makes sense in that context. But if Marx did NOT believe in God, to say that he "hated God" is as absurd as to say "Marx was an atheist and he loved God." I am doing no such thing. The confusion here is on David's part when he equates 'atheism' with 'hatred of God,' which is invalid by definition. ...which is committed to the view that we have emotional responses like anger and hate to fictitious characters if we are using these terms (emotional, anger, hate) not in a strict sense but in a loose and colloquial sense, which certainly includes quasi-emotional counterparts. Funny, but I don't recall David ever claiming that 'in a loose colloquial sense, Marx may have experienced the quasi-emotional counterpart to 'hatred' for God." Don't throw your back out while dancing that double-jig around the actual claim. Which I pointed out required some level of belief in the character /as fictitious/. In reality it's probably a good deal more complex than that, with the character being simply a convenient icon to hang on a whole collection of objects, events, and other stimulii. Meaning that whatever emotions are involved aren't really directed at the particular fictitious object, other than as a proxy for that collection. If you hate a character you know to be fictitious for not doing something in real life, you have an inconsistent belief in that character as simultaneously both real and merely fictional. Of course, this is exactly the point. If Marx claimed to be an atheist and still managed to "hate God," then clearly he beleif concerning God was inconsistent. An atheist, by definition, has NO belief in God. Any wavering on that point defines one as something /other than an atheist/. If David wants to defend the thesis "Marx hated God," he's welcome to do so, and he may even convince me. But if he does that he will have to abandon the idea that Marx was an atheist, and that Marxism somehow persecutes religion in the name of atheism. The converse, that Marx -was- an atheist, makes the contention that he "hated God" ridiculous, unless one is going to contend -- and support -- that he was mentally ill. Thus far I've seen no evidence offered for that thesis. "Common beliefs" do not concern me, but I would be very interested in seeing some of the cognitive science work that demonstrates -- without redefining 'atheism' -- that one can be an atheist and love or hate God. Posting a link or other reference would be appreciated. Abolishment of family? No I'm afraid you have completely and utterly misinterpreted the point. He simply dislikes the construct of a traditional family, a bourgeois one. One in which women are used as breeding machines to breed new stock for the man. This pushes women into a second class society whilst promoting man, the bourgeois and his production/inheritance. Furthermore, I do not enjoy your strawmans. This article is riddled with such. Example, abolishment of family and how you answer religion/morals. "Marx probably didn't intend to abolition families: he had one of his own, even if highly disfunctional, and he did seem to love his daughters, in his strange way." Did you overlook that? Mr. Straw Man? As for the notion that "women are used as breeding machines," if you mean that in "bourgeois" society, women have babies, why yes. But as I have shown on this site, the status of women was far higher in "capitalist" Europe, than it was in competing civilizations such as India, China, the Islamic World, and Japan. But that was thanks to Jesus, not to capitalism.